Henrietta Altman was born circa 1850 at Pennsylvania. She was the daughter of Henry Altman and Mary Etta Cribbs. William Harrison Altman was born circa 1852 at Pennsylvania. He was the son of Henry Altman and Mary Etta Cribbs. Married Name Her married name was Lattimer. Mary Catharine Altman married Robert Lattimer. Mary Catharine Altman was born circa 1854 at Pennsylvania. Robert Lattimer married Mary Catharine Altman, daughter of Henry Altman and Mary Etta Cribbs. John Luther Melanethon Altman was born circa 1856 at Pennsylvania. Name Variation Margaret Emily Altman was also known as Maggie. Married Name 1884 As of 1884,her married name was Kratzer. Margaret Emily Altman was born in March 1858 at Pennsylvania. Margaret Emily Altman married Henry William Kratzer in 1884. Margaret Emily Altman died in 1921 at Rice, Kansas. Martha Augusta Altman was born circa 1861 at Pennsylvania. Henry Nitterrauer Altman was born circa 1864 at Pennsylvania. Name Variation Louisa Mendinia Altman was also known as Minnie L.
Married Name 6 November 1889 As of 6 November 1889,her married name was Weller. Louisa Mendinia Altman was born circa 1866 at Pennsylvania. Louisa Mendinia Altman married Thomas B. Weller on 6 November 1889 at Indiana, Pennsylvania. Henry William Kratzer was born in November 1860 at Illinois. He married Margaret Emily Altman, daughter of Henry Altman and Mary Etta Cribbs, in 1884. Henry William Kratzer died in 1940 at Lyons, Rice, Kansas. Thomas B. Weller was born circa 1855. He married Louisa Mendinia Altman, daughter of Henry Altman and Mary Etta Cribbs, on 6 November 1889 at Indiana, Pennsylvania. Married Name October 1924 As of October 1924,her married name was Ihm. Dulsie M. Hendricks was born in 1907. She married Charles M. Ihm, son of Charles Frank Ihm and Mary Helena Weber, in October 1924 Mr and Mrs Charles Ihm 50th wedding anniversary. Dulsie M. Hendricks died in 2003. Married Name 5 August 1961 As of 5 August 1961,her married name was Ryan. Dulsie Eleanor Ihm was born on 29 September 1942 at Dubuque, Dubuque, Iowa. She was the daughter of Charles M. Ihm and Dulsie M. Hendricks. Dulsie Eleanor Ihm died on 11 May 2018 at Vilas, Wisconsin, at age 75 Dulsie Eleanor (nee Ihm) Ryan, age 75 of St. Germain, WI died on Friday, May 11th at her residence with her family by her side. Dulsie was born on September 29, 1942 in Dubuque, Iowa the daughter of Charles and Dulsie (nee Hendricks) Ihm. Dulsie attended the St. Joseph Academy, Wahlert High School, and the Dubuque Beauty Academy, all in Dubuque, Iowa. She married Thomas Ryan on August 5, 1961, he survives. Dulsie worked as an beautician and owner of Country Fashion Beauty Salon; owner & operator of Ryan's Last Resort; office staff at St. Germain Chamber of Commerce; and secretary/bookkeeper for Ryan Plumbing & Heating. Dulsie enjoyed sewing; golfing, fishing, gardening, and oil painting. Upon her wishes, cremation took place and private family services will be held. In lieu of flowers, memorial donations to: Immaculate Conception Catholic Church, Kieler WI; St. Mary Catholic Church, Sayner, WI; or Holy Family Catholic Church, Woodruff, WI. Charles Frank Ihm married Mary Helena Weber, daughter of Joseph Weber and Maria Alt. Charles Frank Ihm was born on 3 December 1874 at Germany. He died on 21 November 1941 at Grant, Wisconsin, at age 66. Married Name Her married name was Ihm. 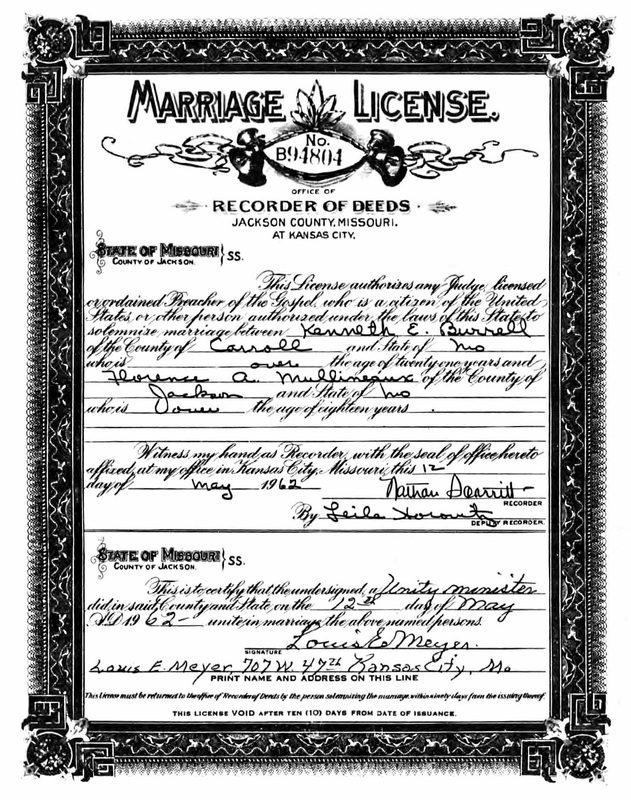 Mary Helena Weber married Charles Frank Ihm. Mary Helena Weber was born on 23 December 1876 at Grant, Wisconsin. She was the daughter of Joseph Weber and Maria Alt. Mary Helena Weber died on 9 July 1944 at Jo Daviess, Illinois, at age 67. John K. Owsley married Delores Imogene Severns, daughter of James Russell Severns and Edna Corine Mullineaux. John K. Owsley was born on 20 August 1923. He died on 2 August 2001 at age 77. He was buried after 2 August 2001 at Grand View Memorial Park, Pasadena, Harris, Texas. 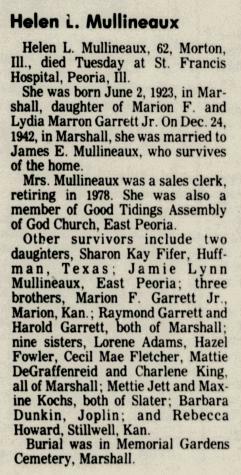 Married Name 1958 As of 1958,her married name was Mullineaux. Doris (?) married Reverand Emmett L. Mullineaux, son of Joseph William Mullineaux and Martha Eveline Bowler, in 1958. Kenneth E. Burrell was born on 26 September 1908. He married Florence A. Mullineaux, daughter of Joseph William Mullineaux and Martha Eveline Bowler, on 12 May 1962 at Kansas City, Jackson, Missouri. Kenneth E. Burrell died on 28 April 1970 at age 61. He was buried after 28 April 1970 at Fairview Cemetery, Sweet Springs, Saline, Missouri. 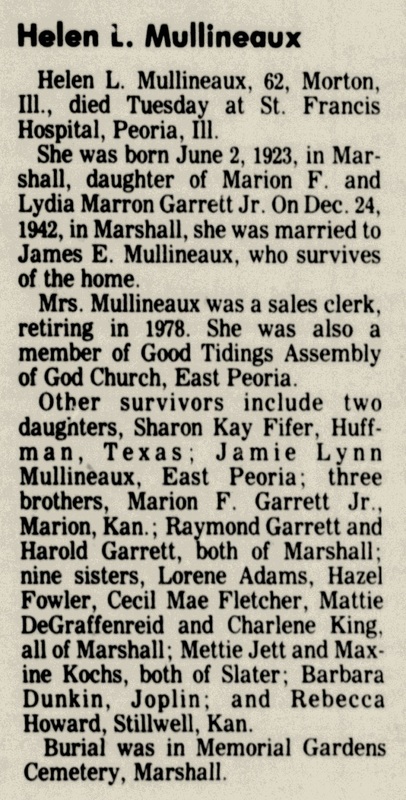 Married Name 1945 As of 1945,her married name was Mullineaux. Geraldine Johns married Paul D. Mullineaux, son of Joseph Aussinar Mullineaux and Lola Camilla Scott, in 1945 at Santa Ana, California. Raymond F. Ford was born in 1930. He married Jeanne Opal Mullineaux, daughter of Joseph Aussinar Mullineaux and Lola Camilla Scott, on 16 March 1957 at Marshall, Pettis, Missouri. Raymond F. Ford died in 1966. He and Jeanne Opal Mullineaux were divorced before 1982. Loyd J. Swearingen was born on 29 November 1914. He married Jeanne Opal Mullineaux, daughter of Joseph Aussinar Mullineaux and Lola Camilla Scott, on 1 August 1946 at Kansas City, Jackson, Missouri. Loyd J. Swearingen and Jeanne Opal Mullineaux were divorced before 1954. Loyd J. Swearingen married Lucille Dowdy on 8 March 1957. Loyd J. Swearingen died on 15 June 1983 at age 68 Loyd Swearingen obituary. He was buried after 15 June 1983 at Memorial Park Cemetery, Sedalia, Pettis, Missouri. Donald L. Swearingen was born on 25 June 1947 at Sedalia, Pettis, Missouri. He was the son of Loyd J. Swearingen and Jeanne Opal Mullineaux. Donald L. Swearingen died on 19 October 2005 at age 58 Donald L Swearingen obituary. He was buried after 19 October 2005 at Heath Creek Cemetery, Marshall, Saline, Missouri. Delbert H. Haywood was born on 17 March 1928. He married Jeanne Opal Mullineaux, daughter of Joseph Aussinar Mullineaux and Lola Camilla Scott, on 27 November 1954 at Kansas City, Jackson, Missouri. Delbert H. Haywood and Jeanne Opal Mullineaux were divorced before 1957. Delbert H. Haywood died on 12 July 1962 at age 34. Married Name 8 March 1957 As of 8 March 1957,her married name was Swearingen. Lucille Dowdy married Loyd J. Swearingen on 8 March 1957. Lucille Dowdy died after 1983. (?) 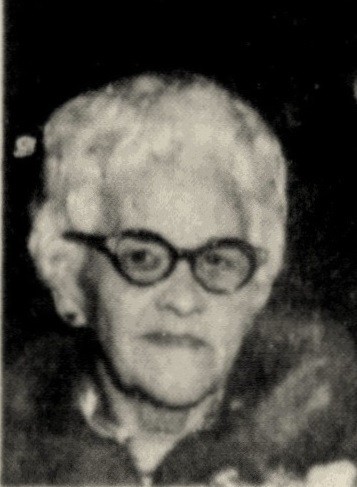 Strattman married Helen Virginia Mullineaux, daughter of Charles Cecil Mullineaux and Frances Ellen Nunn, before 1968. Married Name 24 December 1942 As of 24 December 1942,her married name was Mullineaux. Helen L. Garrett was born on 2 June 1923 at Marshall, Missouri. She married James E. Mullineaux, son of Joseph Aussinar Mullineaux and Lola Camilla Scott, on 24 December 1942 at Marshall, Missouri. Helen L. Garrett died on 25 February 1986 at Peoria, Illinois, at age 62 Helen L (Garrett) Mullineaux obituary. She was buried after 25 February 1986 at Sunset Gardens Cemetery (aka Memorial Gardens Cemetery), Marshall, Saline, Missouri. Herman E. Hempel married Dorothy Chapman, daughter of James Edward Chapman and Mollie May Tryon. Herman E. Hempel was born on 7 April 1910. He died on 8 October 1998 at age 88. He was buried after 8 October 1998 at Old Cave Spring Cemetery, Sullivan, Franklin, Missouri. A. J. McDonald married Mary Lou Chapman, daughter of Robert C. Chapman and Martha Buckley, after 1940. A. J. McDonald died after 1945. (?) Watson married Carrie L. Moore, daughter of John R. Moore and Mary Lou Chapman. Charles Frederick DuBois was born on 14 March 1916 at Madison, Dane, Wisconsin. He married Cleo Lorene Gehrke, daughter of Herman John Gehrke and Letha Shaw, on 28 January 1943. Charles Frederick DuBois died on 7 March 1989 at Orange, California, at age 72. He was buried after 7 March 1989 at Belmont Cemetery, Belmont, Lafayette, Wisconsin.